There are plenty of ways to make the most out of your bathroom, regardless of its size. 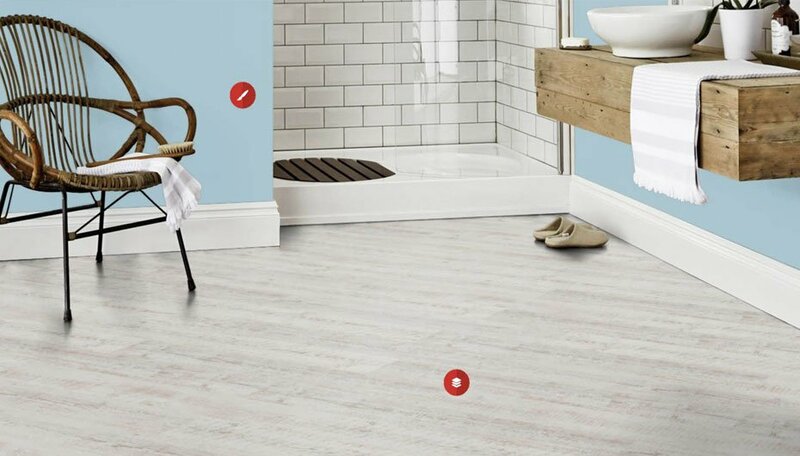 The flooring you select can actually make a room feel more open than you thought possible, so don’t settle on feeling cramped - read our five top tips for optimizing your bathroom and you’ll see that even a small space can make a big impact. 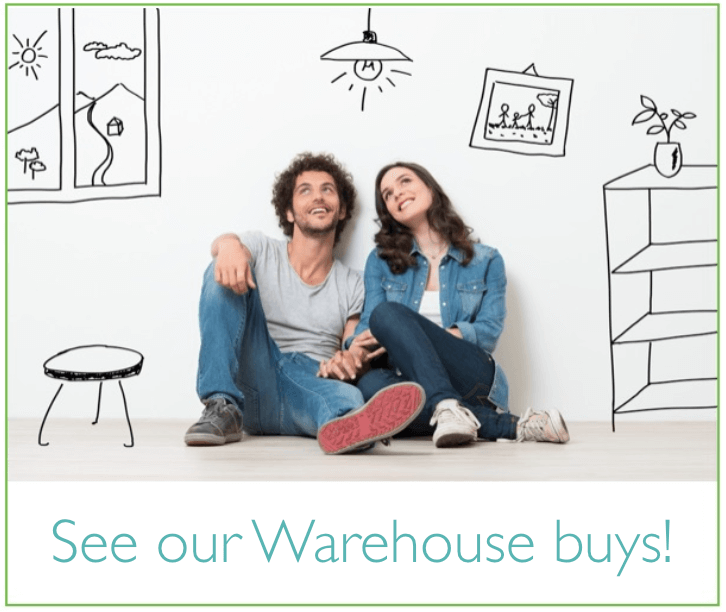 It’s no secret that lighter colours make a room seem more airy and spacious. As you can see above, our whitewashed LooseLay Bleached Tasmanian Oak (UK & AUS only) complemented with grey tiling really does open up a space. 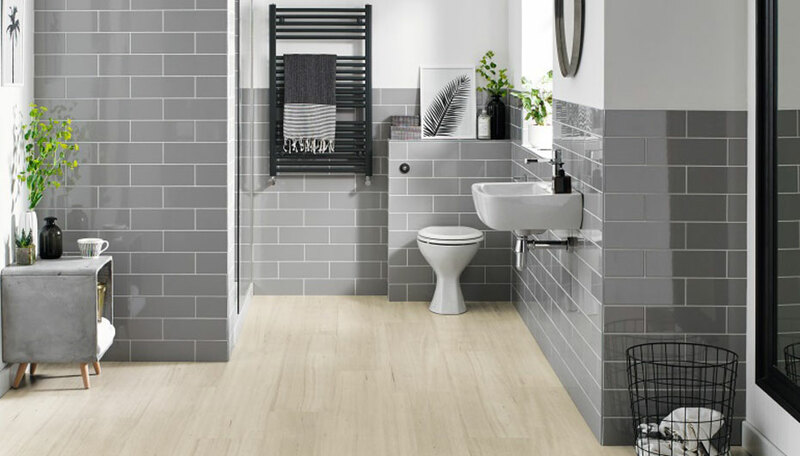 If you’re worried about your bathroom looking too clinical, add pops of colour here and there such as plants, towels and other small accessories so you retain a bright, fresh look that still feels homely..
Our flooring can be laid in various directions, so you could opt for a diagonal format as this will trick your eyes into a different perspective, making the space feel larger. 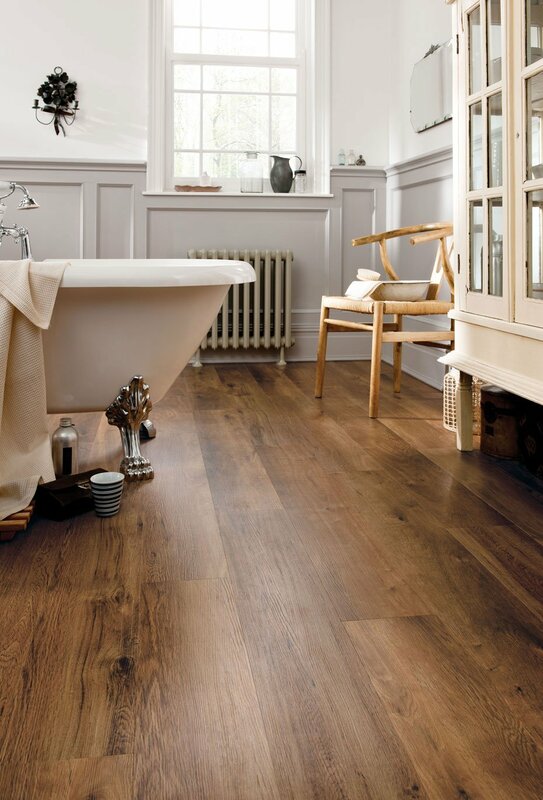 In addition, the soft, natural tones of our Rose Washed Oak adds warmth. 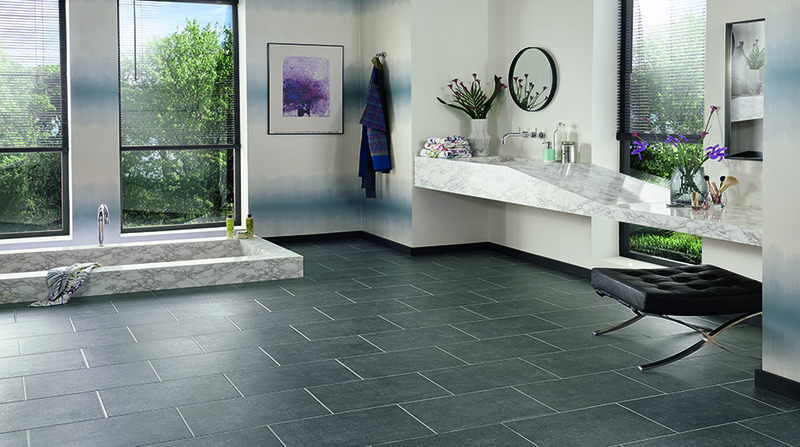 If you have a narrow yet long bathroom, or you wish to make the space appear longer, lay the floor parallel to the longest wall as this will elongate the space and offer the best visual impact. Don’t be afraid to use a slightly darker floor colour, especially if you have plenty of natural light. Alternatively, recessed ceiling lights can add extra brightness. By using similar neutral colours on your flooring and walls, like the on-trend greys shown above, you will create an impression of never-ending space. This will make your bathroom appear less busy, cleaner and ultimately larger. Give your bathroom a coastal makeover with our White Pastel Oak and pastel blue walls to create a soothing space for total relaxation all year round. You can add small decorations that add character without clutter, such as nautical accessories, a small dish of shells, small plants, and a pot of sea salts for next to the bath for a true spa-like experience. 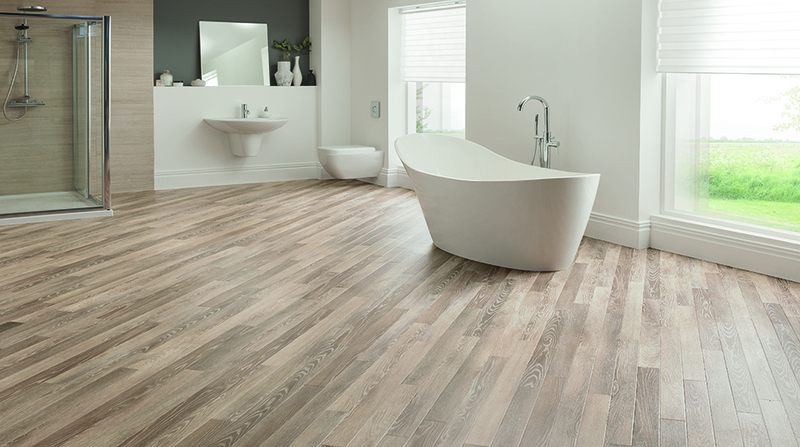 As well as being waterproof, all our flooring is compatible with underfloor heating, which is a great way to add a bit of extra warmth without taking up any space in the bathroom itself.